Ninja Ways is an action-packed slot by Red Tiger Gaming that fully embraces the martial art theme. The background of the game is, of course, an Asian city at dawn. Plus, the highest-paying symbols on the reels are all ninja weapons. The reels are also surrounded by a beautiful dojo where the action takes place! Also, it’s worth pointing out that randomly, you’ll see Ninjas jump on or across the reels to perform all sorts of tricks that could make you win big! With its 4096 ways to win, high volatility, and amazing Free Spins feature, this game will appeal to savvy players. Or to those who have a thing for Ninjas and Mangas! Red Tiger Gaming knows how to create engaging games and this one is no different. So let’s discover it together! Bonuses & features: Extra Wilds, Free Spins, colossal symbols, and Wild Multiplier. Highest-paying symbol: 8 Yellow and Black N symbols on an active paylines give 8x your stake. Suitable for: Everyday pleasure seekers, and Daredevils. The base game of Ninja Ways sure packs a punch! Indeed, as we briefly said above in this game the Ninjas are your friends and, they’ll help you collect the biggest wins! In fact, during the base game, a black ninja can and will jump on the reel at random to punch it and give you wild multipliers. What’s more is that a ninja can also run across the reels and leave a trail of Wild horizontally or vertically to help you win. Last but not least the Ninjas can also summon the mystery door at random. When the mystery door feature is active, you’ll always win since it will reveal a colossal symbol. The Ninja Spin is undoubtedly where you’ll win the most. In fact, after 5 Free Spins symbols land on adjacent reels, you’ll trigger the feature. The symbols always display the number of Free rounds you’ll get. And so each symbol will give you a pre-defined number of rounds that the game will total before triggering the feature. Which means that it pays a lot in this game to get more than 5 symbols to trigger the feature. Also its worth pointing out that we’ve noticed that the random features are more frequent in the Free Spins bonus. 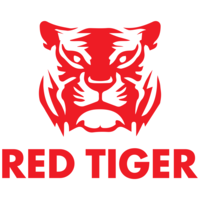 Although, Red Tiger Gaming has not confirmed that in the paytable. We’ve really enjoyed testing Ninja Ways! In fact, the random features can be very rewarding in this game slot and also help to deliver a plausible storyline. What’s more is that we’ve also appreciated that the paytable is quite high for a game that offers 4096 ways to win. Undoubtedly, many players will adore Ninja Ways, but we think the high volatility makes this slot more suitable for experienced players or players who’ve claimed a casino bonus. So make sure to check the bonus section on casinoportal.co.uk to get all the latest deals and keep the fun lasting.